Can I limit my recurrent campaign on daily basis with a fixed number of contacts that can be reached? 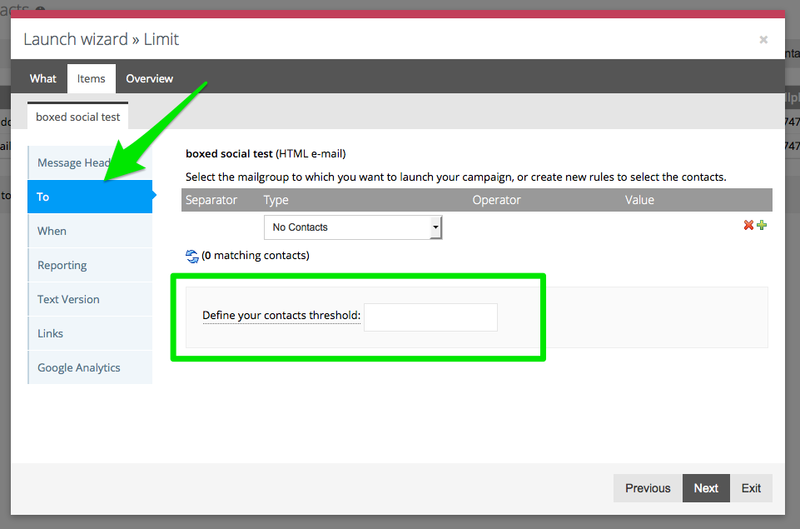 We have installed a Limiter for our contact selection for normal campaigns as well as for recurrent campaigns. 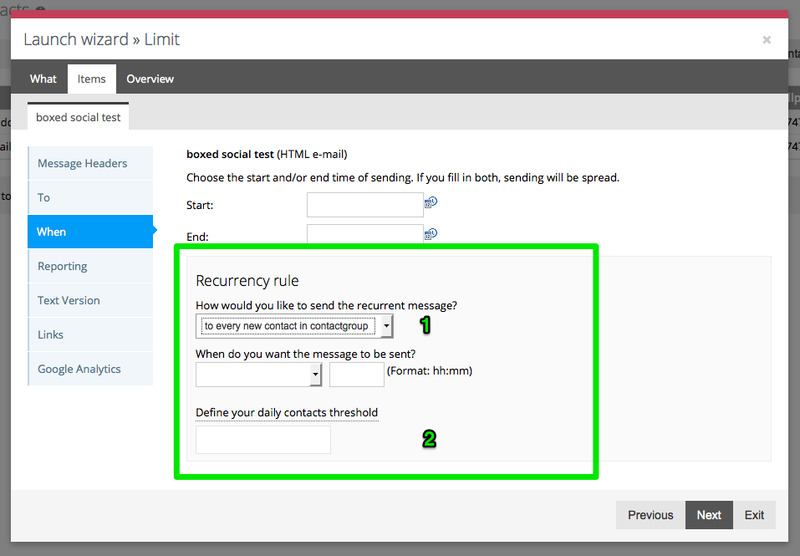 This allows you to limit the number of contacts to whom that specific campaign will be sent to. 1. A contact limit box for normal campaigns. In the box you'll need to input the maximum of contacts to whom this campaigns will be sent. In combination with the relaunch of your campaign, you could for example send out a campaign to 5000 contacts spread over 5 selection of 1000 people. You'll need to relaunch this campaign 4 times with the limit set to 1000 contacts. This allows to define a daily limit for this recurrent campaign. For example. I want to reach maximum 50 contacts for my recurrent campaign, you can set this limit to 50 contacts. When there is NO limit filled in, there is NO limit set ! How can I change the contacts view?